What has long been the most popular coin series to collect? Without question, the Lincoln cent has been a favorite among novice and experienced coin collectors alike for decades. In the past, we have looked at various ways to collect Lincoln pennies, and now we look at yet another. After 50 years, the Lincoln Memorial cent is no longer being minted. The Lincoln Bicentennial cent designs have replaced the Lincoln Memorial cent for 2009. In 2010, a new design will permanently replace the Lincoln Memorial design on U.S. pennies. During the 50 years of the Lincoln Memorial cent (1959-2008), the U.S. Mint made millions of proof Lincoln Memorial cents. Proof coins of the modern era, by the way, are coins which are struck with mirror-like fields, frosted (or “cameo”) devices, and well-struck details. Collectors wanting a complete collection of Lincoln Memorial cents always need each of the proof Lincoln Memorial cents. Luckily for the collector, obtaining proof Lincoln Memorial cents is an easy task. Most Lincoln Memorial cents are inexpensive, and many from the late 1960s through 2000s can be purchased for around $2 to $4 each. Early Lincoln Memorial proofs (those minted before 1968) can be had for $1 to $2 each. Most years saw mintages of between 2 million and 4 million. Every year of the Lincoln Memorial proofs are common. None were minted from 1965 through 1967. 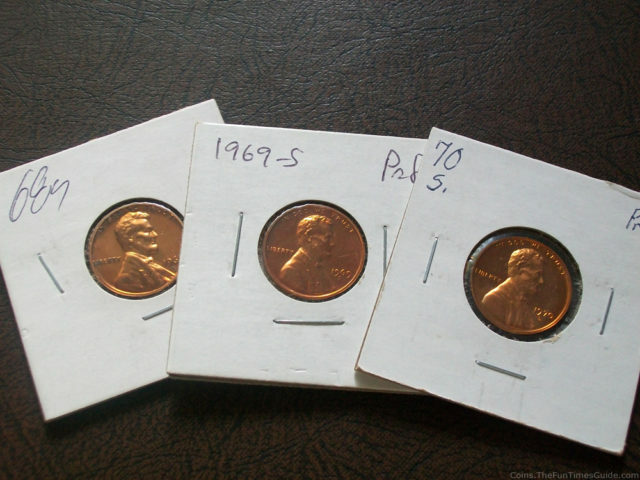 Proof Lincoln Memorial cents minted from 1959 through 1964 were struck in Philadelphia. When proof Lincoln Memorial cent production resumed in 1968, manufacturing duties were moved to San Francisco, where striking of most U.S. proof coins takes place to this day. Are Lincoln Memorial Proofs Going To Become Rare? The thinking among some may be that the Lincoln Memorial cent (both proof and regular business strikes) will become scarce or rare since the U.S. Mint is no longer making them. While it is true Lincoln Memorial cents are no longer being struck, also remember that many millions of Lincoln Memorial proof cents were struck. By the way, billions upon billions of business-strike Lincoln Memorial cents were produced. Because so many Lincoln Memorial cents have been made over the last 50 years, there are plenty to go around. Proof Lincoln Memorial cents are in great supply, with enough to potentially complete more than a million Lincoln Memorial cent collections! While the vast majority of Lincoln Memorial proof cents are highly common, there are a few dates which are considered scarce. Likewise, a couple are considered downright rare. While there are a few costly proof Lincoln Memorial cents (thankfully, for the average collector who wants a “complete set” but lacks deep pockets! ), it is generally “forgiven” to not include the 1971-S doubled die, 1990-S no “S,” and 1999-S close “AM” in a “complete” set of Lincoln cents. Of the above listed, only the 1970-S small date and 1981-S Type II are typically included in most “complete” sets of proof Lincoln Memorial cents. Here is a current price list for Lincoln Memorial cents from the Professional Coin Grading Service (PCGS). So, you want proof Lincoln Memorial cents for your collection? Well, you will have to buy them from your friendly coin dealer of the United States Mint (also friendly). Proof coins are not minted with the intention of circulation, and are sold to collectors in sets. Some proof coins have escaped circulation over the years and made their way into circulation, but this is fairly uncommon. As a result, circulation is not a reliable way of obtaining proofs. Besides, any proof coin which has entered circulation has been handled and, thus, will be worn and also lack its beautiful surface quality, which is a trademark of proof coinage. For information about buying the current year’s proof set, check out the U.S. Mint’s online catalog.